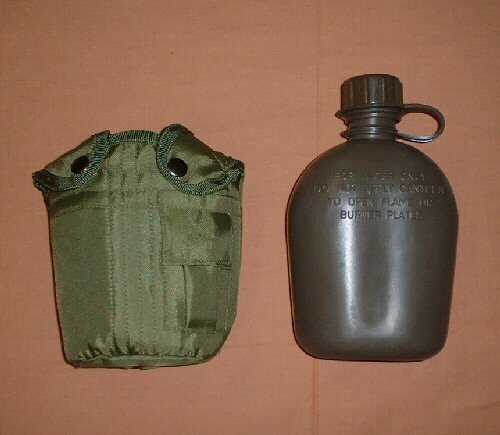 The classic US 1 quart (approx 1.136l) water bottle complete with pouch. Water bottle is made of molded plastic, with integrated screw-down cap. Seal inside cap is an improved plastic type, not the polystyrene type which will harbour bacteria. 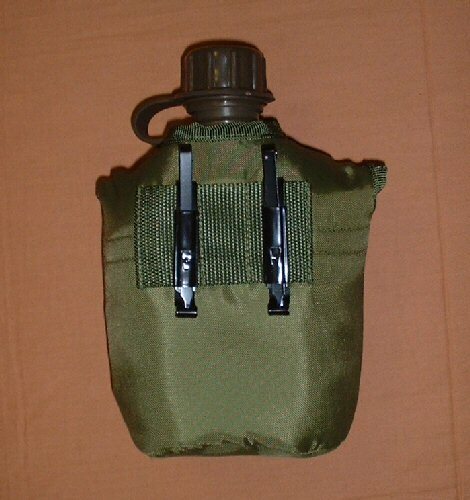 Pouch is mounted on belt with two Alice clips, and holds bottle in place with two push button flaps. 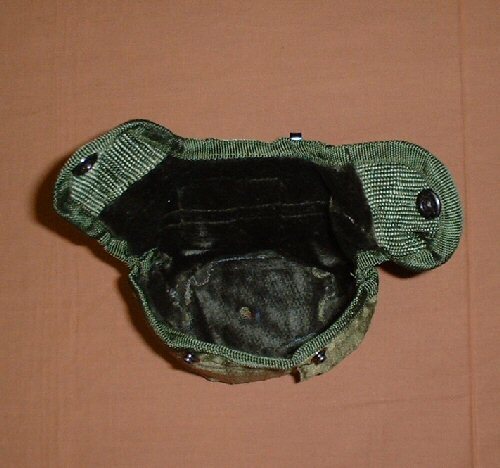 Interior of pouch is lined with artificial fur for better insulation. 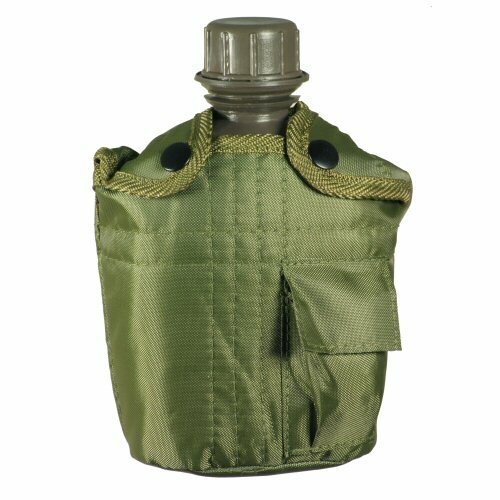 Exterior is made of tough nylon and also has a pocket for water purification tablets. Includes aluminium cup. The water bottle separated from the pouch.